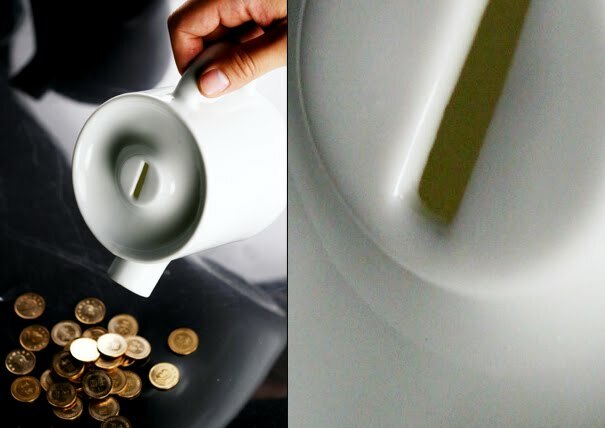 Collect money in style with these unusual and creative coin banks. Money Tree Coin Bank: As your money collects the money tree will grow taller. 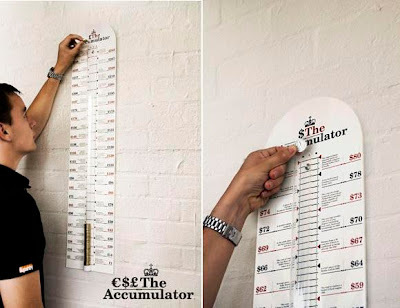 Accumulator Bank: The accumulator bank lets you see how much you've collected instantly, with handy examples of comparative amounts. 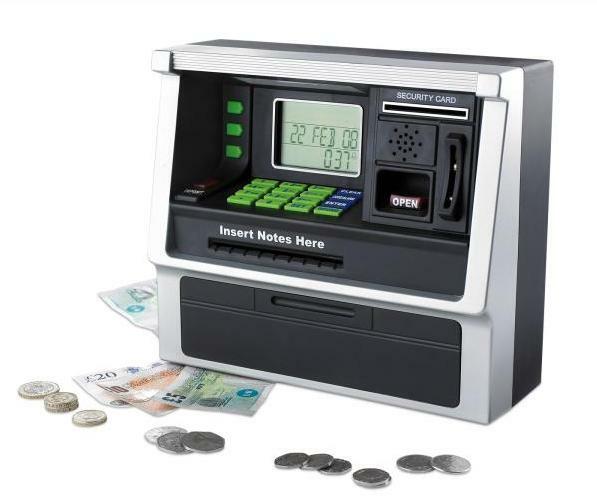 ATM Bank: It's a mini ATM cash machine to collect cash and it comes with a card with PIN so you can withdraw your money anytime you want. 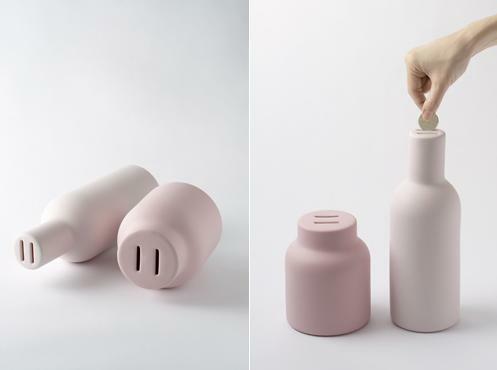 His/Her Money Bank: This unusual bank comes with a unique feature; if one tries to put coin in his money bank, it will still drop down to her money bank. 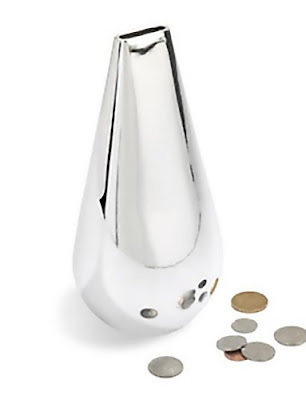 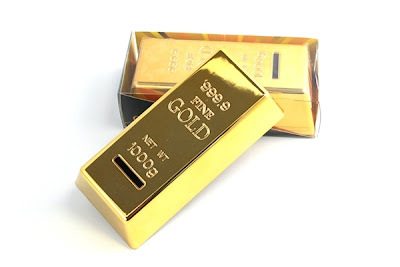 Ceramic Money Bank: Its made of ceramic and comes with chrome finish; it looks more of a decorative object for any room. 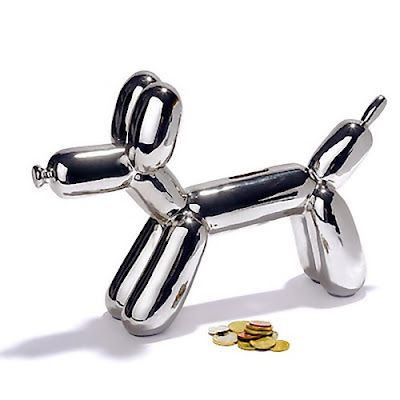 Dog Bank: This cool bank resembles a balloon dog. 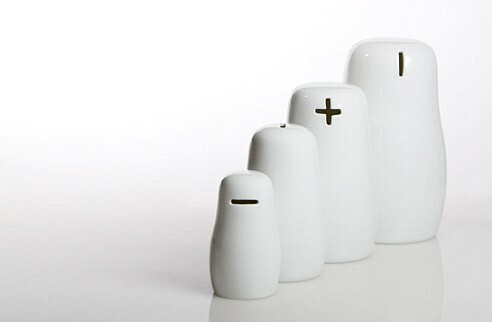 Babushka Set Coin Bank: This set consists of four coin banks that resemble the famous Matriyoshkas. 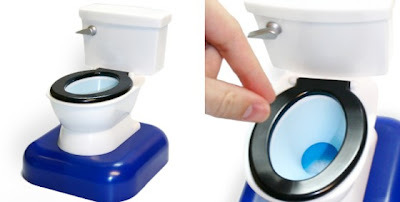 Toilet Bank: Drop your coins down the bowl, push the handle down and watch your money go down with a whooshing sound. And when need some coins, just open the bottom. 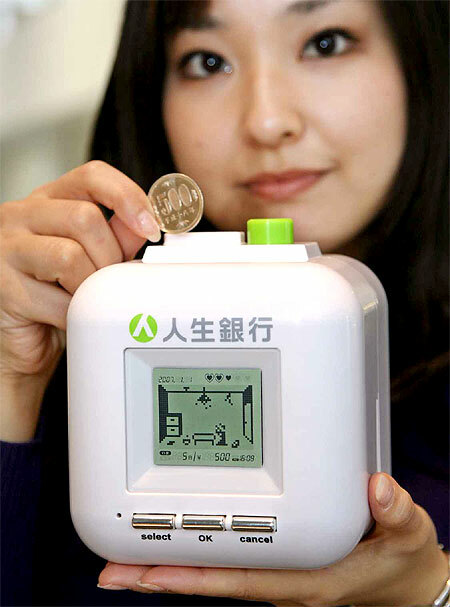 The Bank of Life: Its features a screen with a little Japanese man living in a shoebox home. 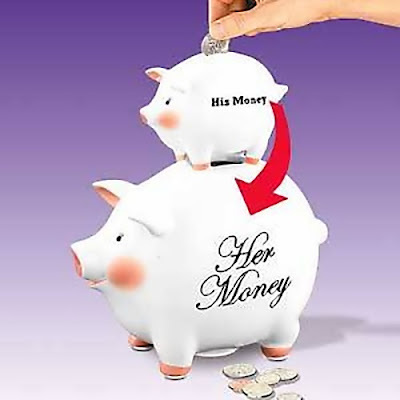 As you start collecting money in it, his situation improves and he gradually upgrades to a luxury apartment. 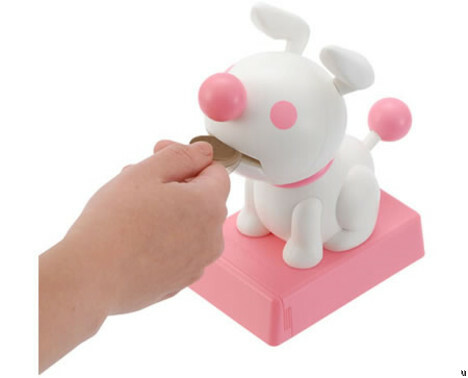 Bandai Coin Bank: Whenever your hand goes near its nose, its mouth opens and it accepts coins. 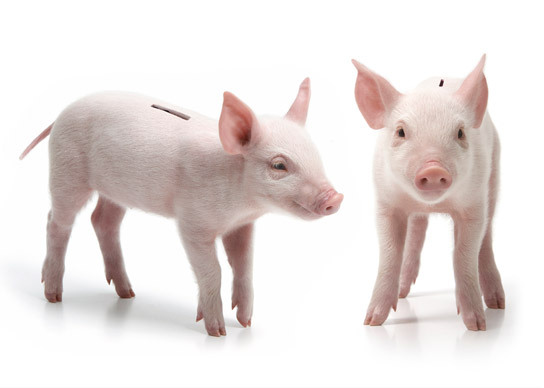 Piglet Bank: Its made from a real piglet. 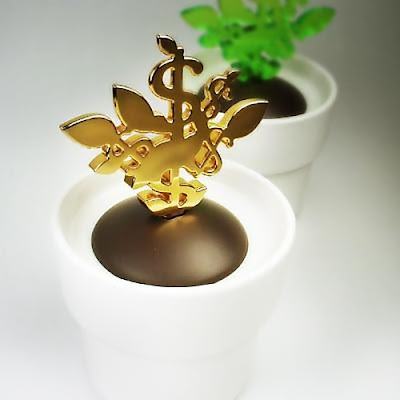 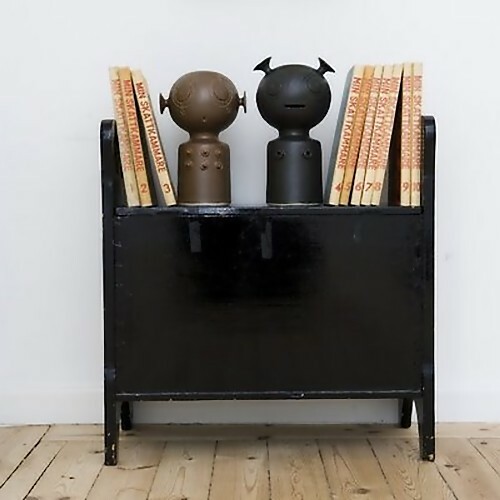 Don't miss to check out "Creative Coin Banks and Cool Coin Bank Designs - Part: 1| 2| 3."